This description of Steve Miller's work was prepared when Steve Miller was elected to the Ashoka Fellowship in 2018. Through the Oral History Project, Rev. 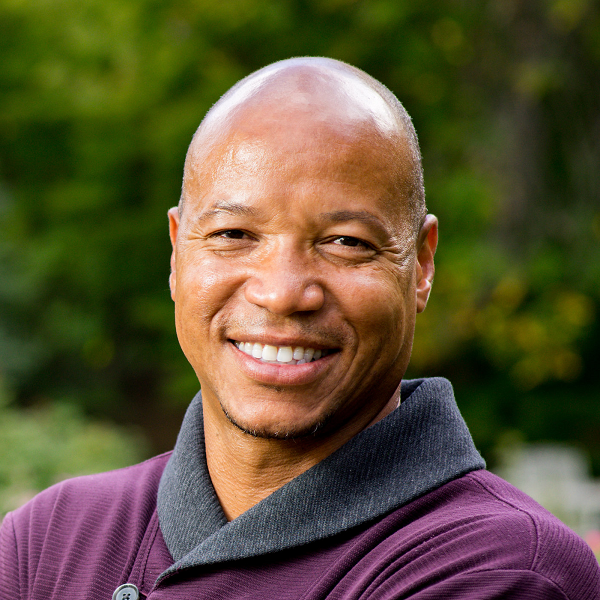 Steve Miller seeds a multi-pronged strategy that engages people of color, students, and academics, and ultimately equips religious and community leaders with the content, confidence, and competencies to engage their wider congregations in racial justice work. In essence, his whole plan is a mobilization strategy that harnesses personal narrative as a force for healing, first at the individual level and then at the systemic level by rekindling empathy. On this new footing, a new civil rights approach can help our national conversation around race get unstuck. Where in society do we typically expect racial reconciliation work to be carried out? Too often we advocate (or hope for) top-down declarations or one-off national fixes. Steve’s work brings into focus a more local, grassroots and personal starting point and allows for the individual participants to acknowledge the trauma of racial tension that adds up over time and initiate personal-level healing, while at the same time building up a body of “forensic evidence” in the face of communal disbelief. This evidence provides the impetus and apparatus for academic, religious, and civil society to take meaningful actions, too. The systems that perpetuate inequity are baked into our legal, legislative, and administrative systems, and therefore reinforce our data-driven mode of processing information and making decisions. As a consequence, struggles for equality and civil rights start in a headspace of facts, figures, and intellectual debates. Those agitating for change are perceived as coming to the table with a threatening “take it” perspective, and are met with resistance. At the national level we are stuck, and at the individual level people are hurting. Steve believes that we need to acknowledge and initiate healing in the face of ongoing trauma caused by racism, and the communal disbelief that it even exists. While many might argue that rampant, explicit, “big” racism is a thing of the past – because “discrimination is illegal, hate crimes are prosecutable, and we even had a black president!” -- it’s not. Furthermore, implicit and systemic racism still persist, though they often go unnamed or unrecognized even in some cases by the very people experiencing their effects. According to Steve, black people in particular have become so conditioned to racism, they’ve accepted it and are increasingly unhealthy because of it. In this assertion, he is not alone. Researchers have recently “made a clear connection between racial discrimination and negative health outcomes like depression, sleeplessness, anger, numbness, and loss of appetite.” In fact, systemic racism and racial tension across US society contribute to the fact that black people in America have the lowest life expectancy. But Steve feels the black church can – and must – play a bigger and more proactive role. Black Americans are more likely than any other group to regularly attend religious services, with more than half of African-Americans – according the Pew Research Council – attending religious services weekly, making them “the most religiously committed racial or ethnic group in the nation”, with the majority belonging to historically black Protestant denominations, such as the National Baptist Convention or the African Methodist Episcopal Church. During turbulent times like the civil rights movement, the black church played an active role, but more likely as a safe harbor and community space than a first mover. In fact, Rev. Miller points out that as few as 3% of historically black churches were on the front lines of the Civil Rights Movement. According to Rev. Dr. Frederick D. Haynes III of Dallas, while “a minority of churches in the black community have always been socially conscious and active”, today most of the black church is even LESS socially engaged than they might have been in the 50s and 60s, citing the illusion of progress, a shift to “me-centered” prosperity theology, and the increasing financial vulnerably of aging institutions. The black church’s parishioners (which constitute the majority of African-Americans) are hurting, and it – as an institution – is on shaky ground. Despite this, Steve believes that the black church can take unprecedented steps towards rebuilding empathy, embracing a social justice theology, and addressing systemic racism. In a way, the first step in Steve’s strategy is to have understood and diagnosed the systemic challenges as described above. Because then, by working his way back upstream, it’s possible to see how his work reconnecting, role casting, and reframing addresses these deepest challenges: first by engaging historically black colleges and universities, rebuilding their connections to the black church, and empowering the black church to deploy storytelling and narrative as a way of initiating individual healing and mobilizing people. The church then engages in powerful collaborations with other religious communities, academia, and civil society centered around narrative and restoring empathy, and in this way is ushering in a contemporary civil rights movement rooted in love, relationships, and – most profoundly – a new conversation with the power to change hearts, and then minds. Steve is fond of saying, “no one cares how much you know until they know how much you care” and describes his whole plan as a mobilization strategy, with storytelling as a pretext for initiating individual healing and then mobilizing people. His signature intervention that reconnects head and heart, re-links academia and religious instructions (particularly HBCUs and the black church), and releases story and narrative as a tool for individual level healing and wider reconciliation is The Oral History Project. Inspired by the model of Truth and Reconciliation Commissions, Steve has created a national architecture of partners and a year-long calendar of engagements that culminate in a signature “generative space for surfacing and circulating untold stories of racial violence across generations and […] for igniting personal and civic transformation.” Now entering its third year, Steve works with historically black colleges and universities across the country to not only acknowledge the trauma of racial tension that adds up over time and to initiate healing, but by capturing and codifying these stories, he also makes the academic, legitimate case for the impact of racism on the health of individuals and on our society. By engaging churches’ members and leaders throughout, he repositions expertise and leadership within the black church. How does this land in the world? While HBCU and church partners are always being recruited, many people first hear about the Oral History Project during the public recruitment phase. When an event is to take place, the most important black and Hispanic barbershops, beauty shops, nightclubs, churches, radio programs, and community groups are inundated with announcements, conversations, and invitations. All this buzz culminates in a two-day community event. The first day is internal for the assembled team of church members and leaders, local hosts, students, academics, and journalists and is effectively a master class in the origins of racism, the power of narrative, the how-tos of interviewing and recording personal histories, and collective visioning of what could be possible if the black church were to engage arm-in-arm with academia and civil society in social justice work. On the second day, the public is invited to come share their stories, which are video recorded, transcribed, and archived at the Baylor University Center for Oral History. But they don’t just sit on a shelf there. Baylor University Press has three books planned (one academic, one for religious leaders, and one for popular consumption). And across academia, the stories inform the theory and praxis for the emerging field of “critical race work” and contribute to a growing body of “forensic evidence” in the face of communal disbelief. Edited videos also live on online where they are shared with pastors and beyond as empathy-building tools. In 2017 and with funding from the National Endowment of the Humanities (among others), 67 students, 10 PhD scholars, and 20 outside advisors from seven HBCUs as well as the City University of New York and the Baylor Institute of Oral History convened in Houston for the first Oral History Project. This year 11 HBCUs from across the southeast (but mostly in Texas) participated at the national event hosted by Austin Presbyterian Seminary with funding from Kellogg Foundation and participation of one of the largest community colleges in Texas. Hundreds of thousands were reached by the aggressive outreach efforts and the media coverage and to date more than 100 personal narratives have been formally recorded and archived. Steve will continue to convene the national network around one anchor event that HBCUs and others from around the country will offer jointly (either in one rotating location and/or across the country but on the same day). By hosting new HBCUs and their participating (fees-paying-to-cover-their-own-costs) delegations, he sees this experience as a hands-on activation and training and the “multiplier effect” that will propel this mode of engagement across all the nation’s 144 HBCUs. National events also attract the media’s spotlight while capturing hundreds of stories. But individual HBCUs can – and do – offer their own local Oral History Projects, and in so doing are re-positioning themselves as key nodes in narrative based, community civil rights work. But this isn’t just about individuals. Churches are linked early on with HBCUs in recruiting for Oral History Projects, and stay connected long after the initial activations, looping in civil society (advocates and activists), too. At the recent Oral History Project, an advocate with the advocacy organization Appleseed Texas shared how she can see elected officials’ eyes glaze over as she relays facts and figures during her frequent lobby visits advocating for changes that would benefit her African-American community. But the conversation starts from a very different place when community members accompany her, ready to share their own stories. Similarly, churches have revised their church ministries, based on frameworks and greater appreciation for systemic challenges that they pick up from academics and activists. For example, a church in Texas shifted their education ministry from reading to third graders to working with the school administrators on its discipline policies (which are an early contributor to the school-to-prison pipeline, and prevent too many kids from being in the class to be read to in the first place). Steve points out that his call to action focuses on concrete things that we can already do, where laws already exist but “hearts” haven’t been won, like discipline policies in schools or, at the community level, fair access to jobs. It’s for this reason that one of the biggest opportunities that Steve sees for the healthy and invigorated black church is to enter into relationships across color lines. Not only do the oral histories collected also feature the experiences of Hispanic people in the US, but the next strategic focus of Steve’s work is to link black and white churches together. Steve’s own listening and deep empathy has revealed that white people are hurt by racism, too. Many become very hardened and lose their compassion, which is a natural byproduct of maintaining inhumane systems like slavery and Jim Crow across multiple generations. Throughout his home city of Henderson, Texas and in a number of other early pilots, Steve has already helped black pastors and parishioners empowered by the Oral History Project reach out to neighboring white congregations. First they become friends, and then they essentially say “we’ve got some things we need to talk about.” By sharing their personal experiences atop this foundation of mutual respect - and as Steve has predicted - “people listen to stories when they can’t hear facts and figures.” Through this “Church-led” and “Church-enabled” communication, Steve is helping restore narrative as the vehicle for building empathy, connection, and actionable social transformation. Steve is a very religious man, and the grandson of a preacher and son of an [estranged] Pentecostal minister. Steve is also very southern, proudly hailing from the specific “Texarkana, Ark-La-Tex” region. In college, he was involved in student advocacy at Texas A&M, and ran successful political campaigns. A close friend from these days – now a county judge in Texas - invited him to move to the Austin, Texas area, where there would be a position for him in the school system. Enthused about this new start after years in finance and then teaching, he moved to Bastrop, where he found the city engaged in a huge racial controversy. A conservative faction took over the school board and began to fire almost all people of color at the senior leadership level. His position evaporated, leaving him in the Austin suburbs with no job. After two years of interviewing people connected to that school district (while attending seminary by day), he built an 80-page dossier and took it to the state chapter of the NAACP. He embarked on a formative project, organizing communities and churches of color and all kinds of community members connected to the school, including getting business leaders to help formulate a diversity plan, which the school board eventually passed. They also re-wrote the discipline apparatus, a local aspect of the school-to-prison pipeline. Meanwhile, the state NAACP took the case to the US Department of Education and launched a civil rights investigation against the school district. The Department of Justice came in and educated the school community on sensitivity and equity. His current work relies on the same principles of interviewing and writing down stories to make change, relying heavily on the faith community. As a theologian, Steve brings a historical and cultural understanding of the theologies of different denominations, and how the Black church has inherited a theology of compliance in the current life for redemption in the afterlife, and how power dynamics reinforce a “don’t-rock-the-boat” approach by black churches (through civil rights movement to present). In the next strategic thrust of his work – now that the HBCU Oral History Project has been successfully piloted - the work across racially segregated denominations in small towns comes into focus, and is as much about white congregations building up their capacity to talk about race as it is about creating spaces for Black churches to engage in more social justice work.